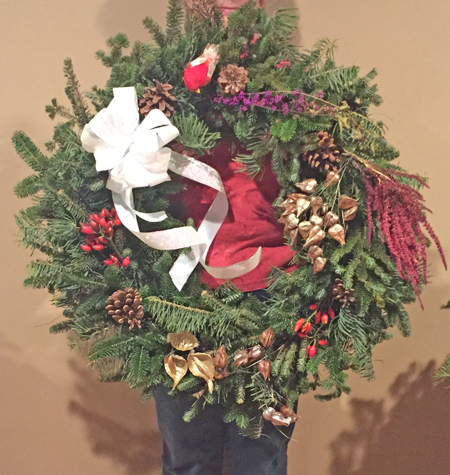 For the 3rd year, I spent an evening with my daughter and her friends decorating wreaths. 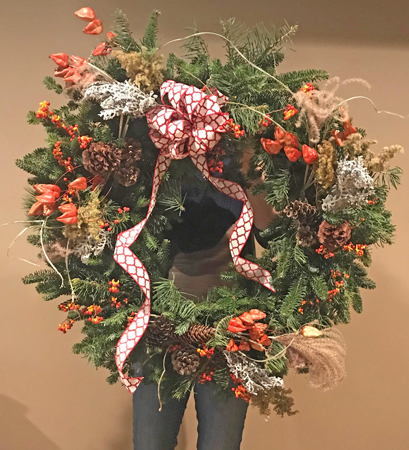 Everyone had access to the same ribbons and the same dried flowers and other components, and the wreaths always turn out quite different based on individual creativity and style. I feel a little bad about cutting off their heads in the pix, but I didn’t ask permission to post them, so…..in no particular order, here they are. 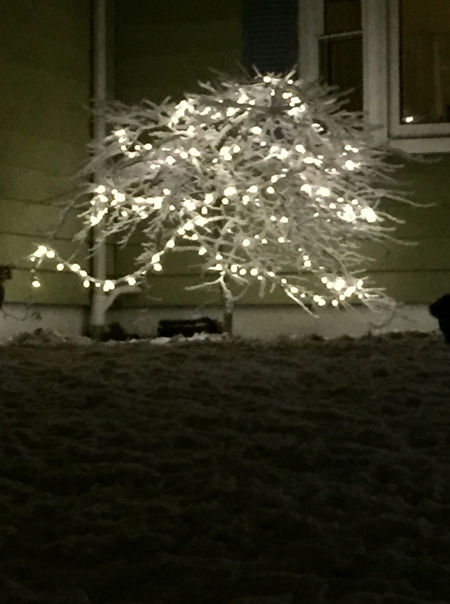 And now for my little Japanese maple with an entire spool of 240 lights on it. Fresh snow makes everything beautiful. After I get home from getting my snow tires put on today I plan to do a bit of cleaning so I can put up some indoor decorations. 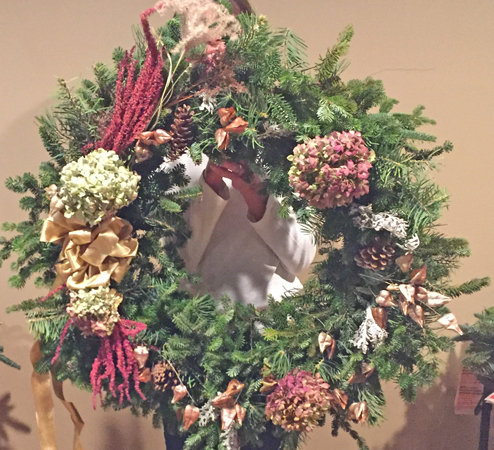 I always love seeing he photos of the wreaths you all make… every one a beauty. 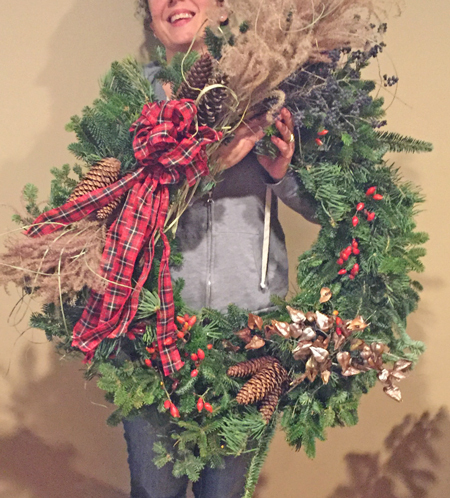 I had fun decorating and hanging my two wreaths yesterday, and getting the little white lights on my small blue spruce trees outside. 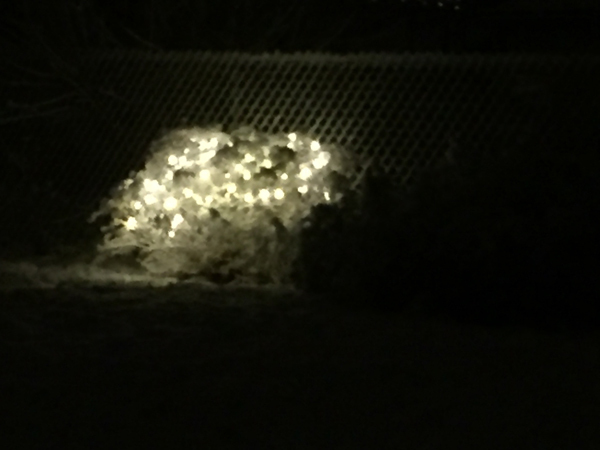 And you’re right – the fresh snowfall makes everything look both beautiful and magical. 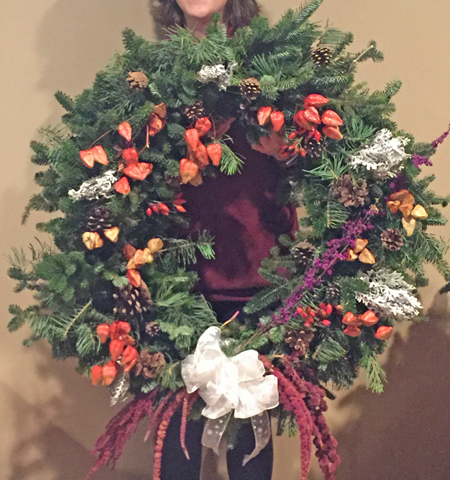 Oh my, what beautiful wreaths and what a great tradition. Boy, I do like the way the Japanese maple looks! 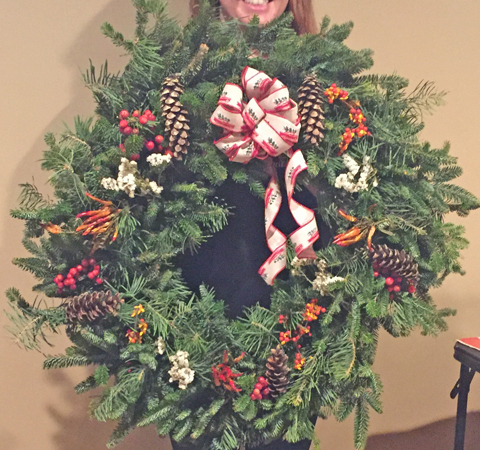 The wreaths with the ribbon tails are terrific!! 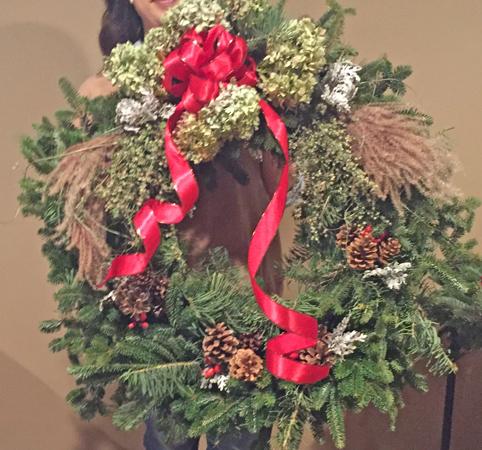 All the wreaths are beautiful! Thanks, everyone. 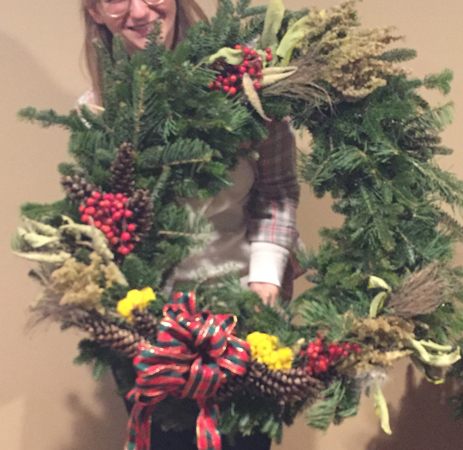 The wreath decorating is a great tradition, and doing it with my daughter’s friends makes it all the more enjoyable and special.